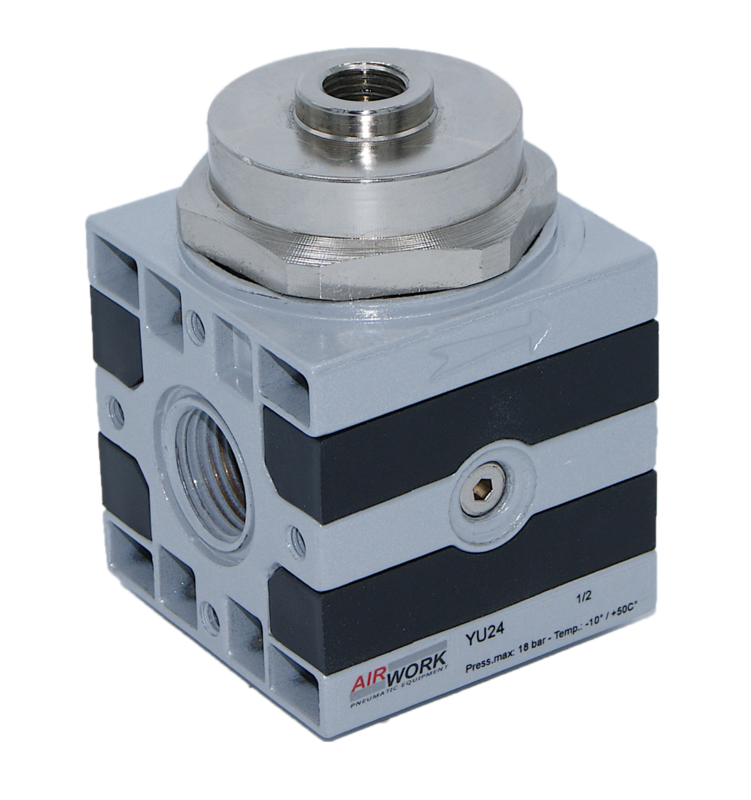 Metal FRL units realized by Airwork have been designed to offer an higher quality, thanks to materials and technology used. 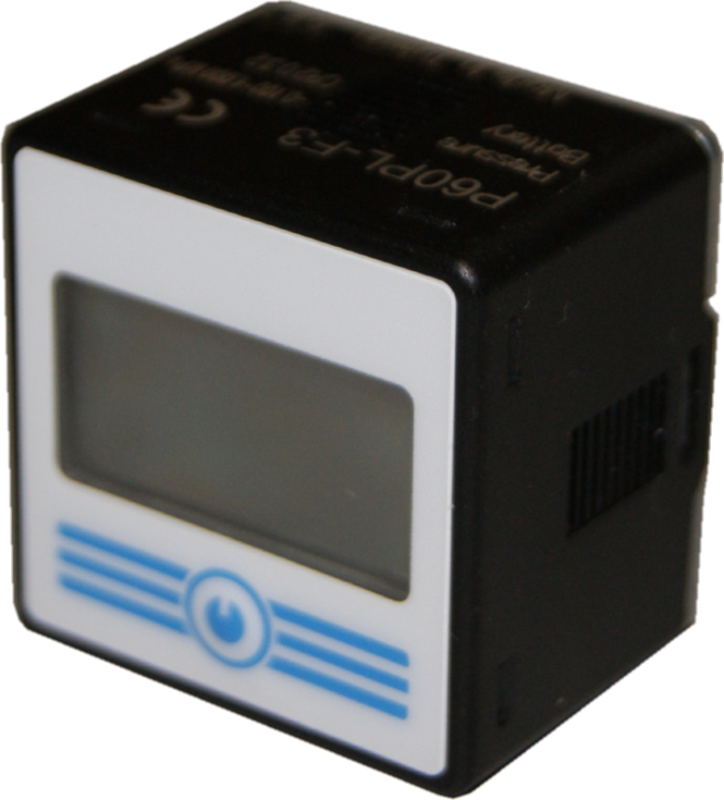 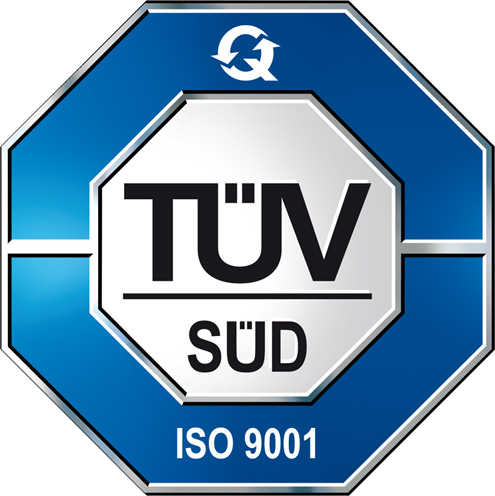 Moreover, every single unit is 100% tested before the delivery. 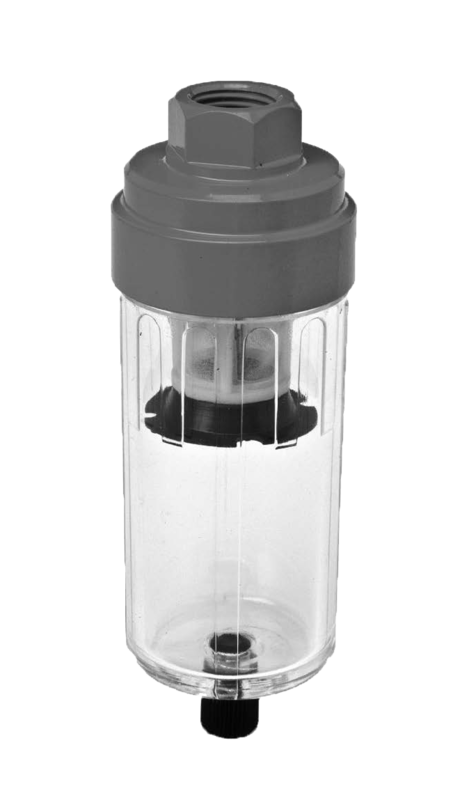 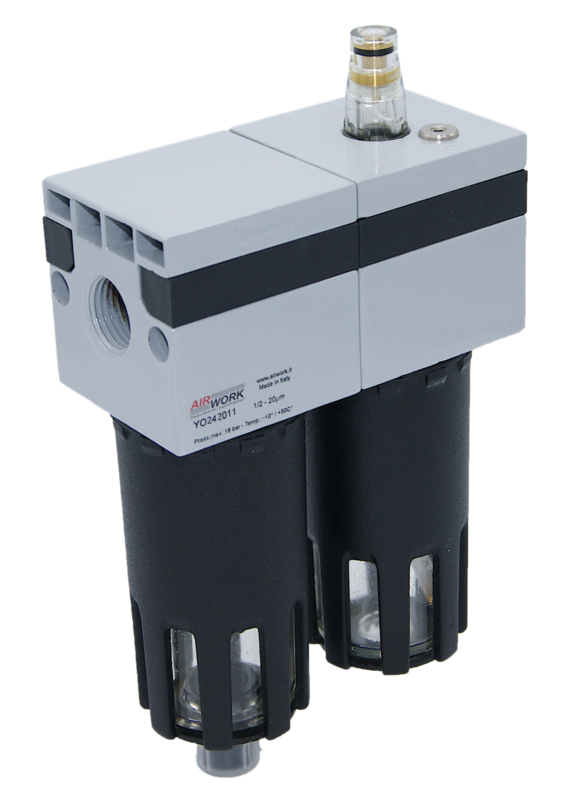 This metal series, with a piston functioning system, is equipped with filters and filtration cartridges in 20 micron syntered bronze. 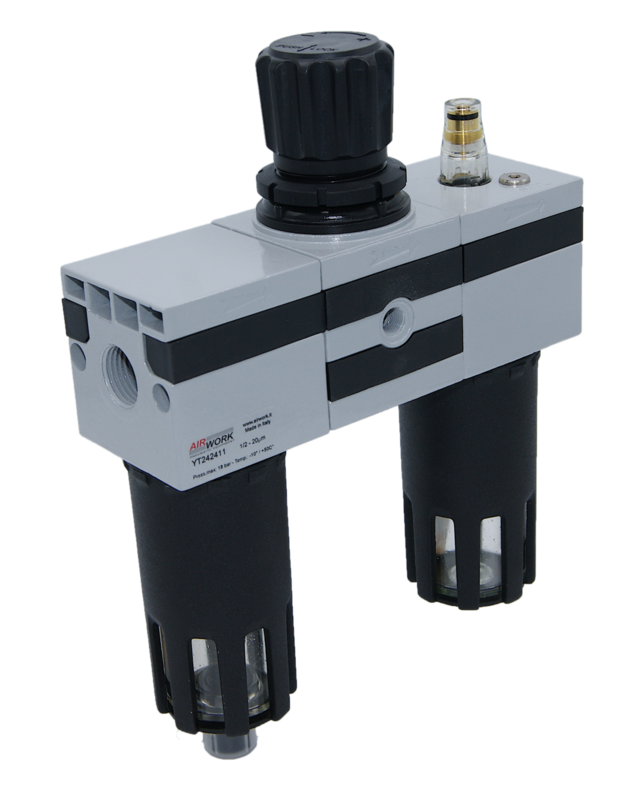 Lubricators, which have oil load from the top, are realized with a system which guarantees the lubrication even at very low pressures. 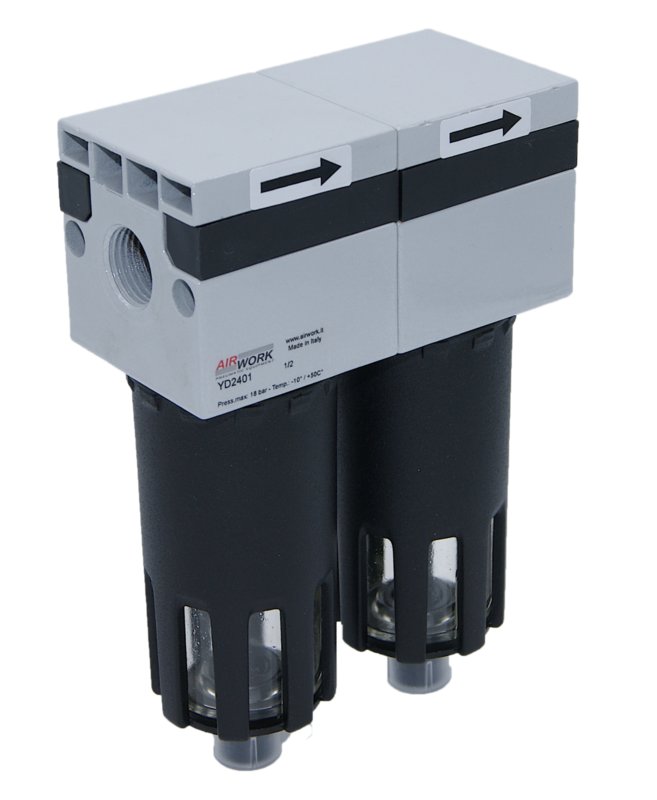 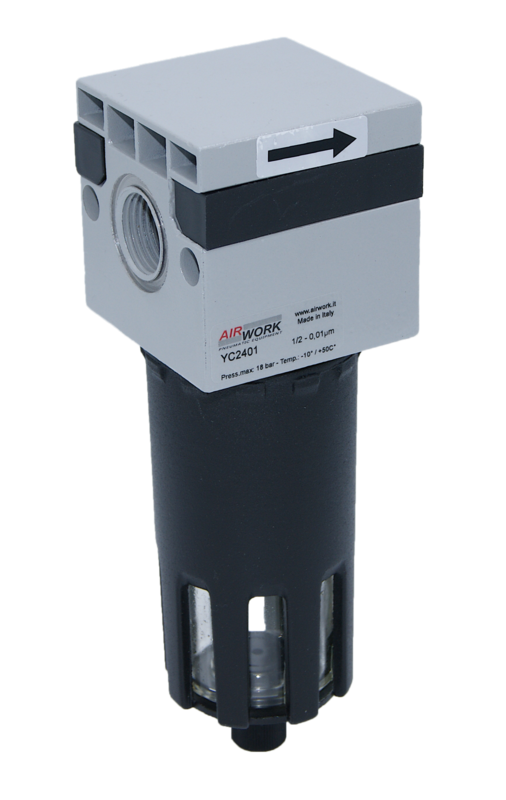 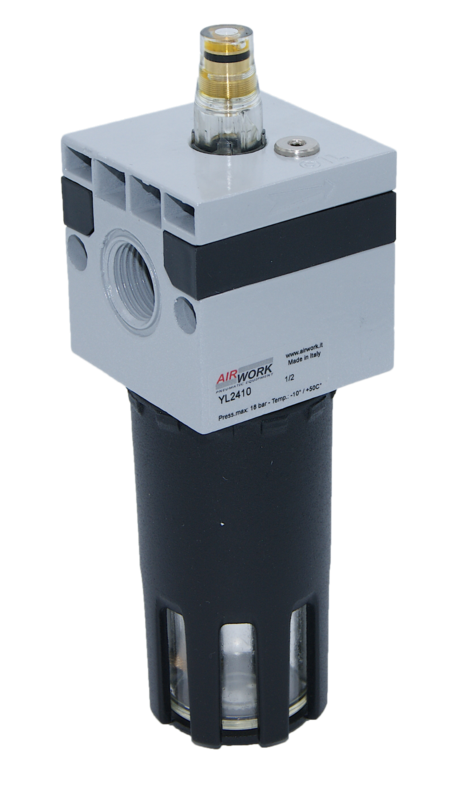 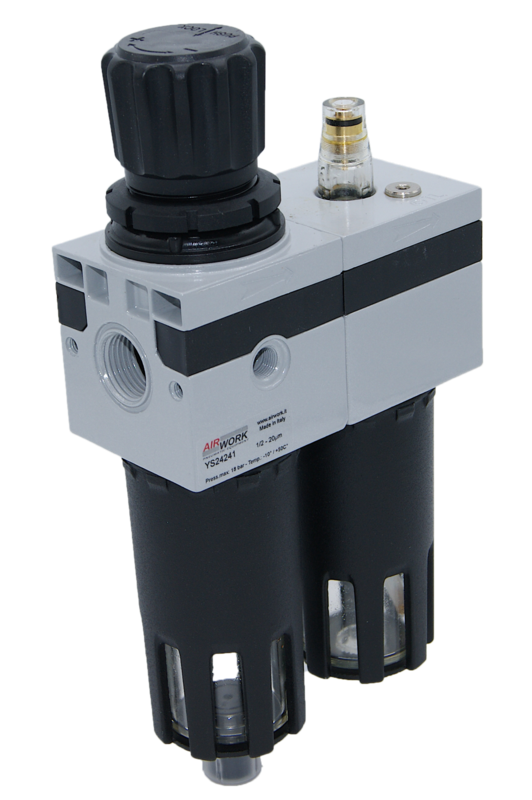 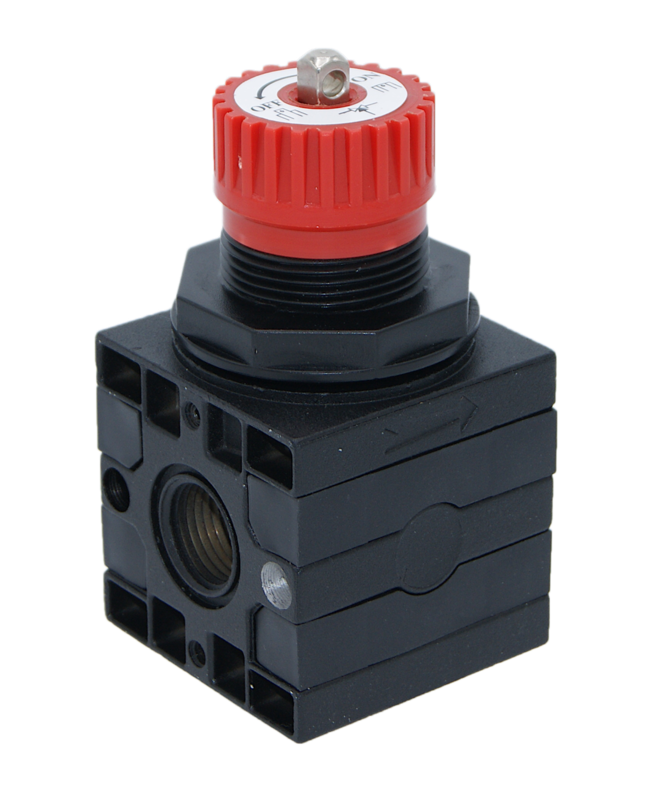 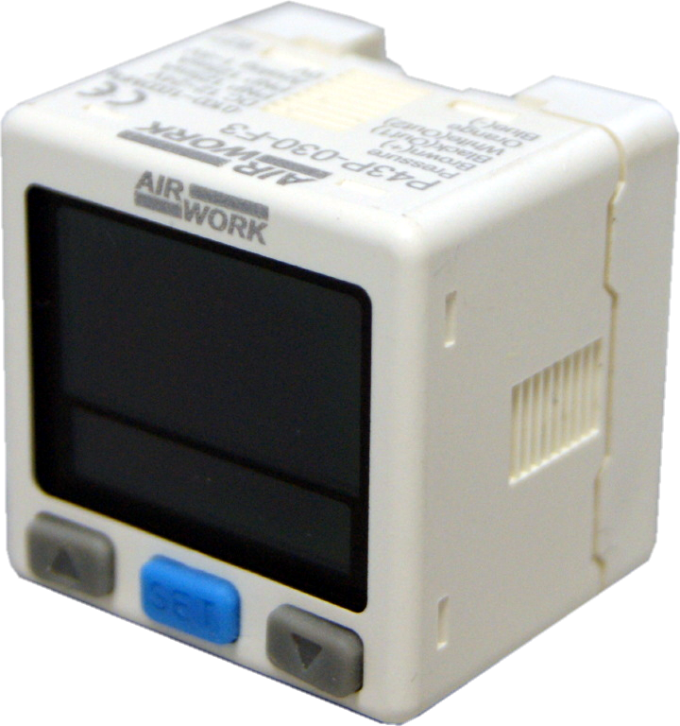 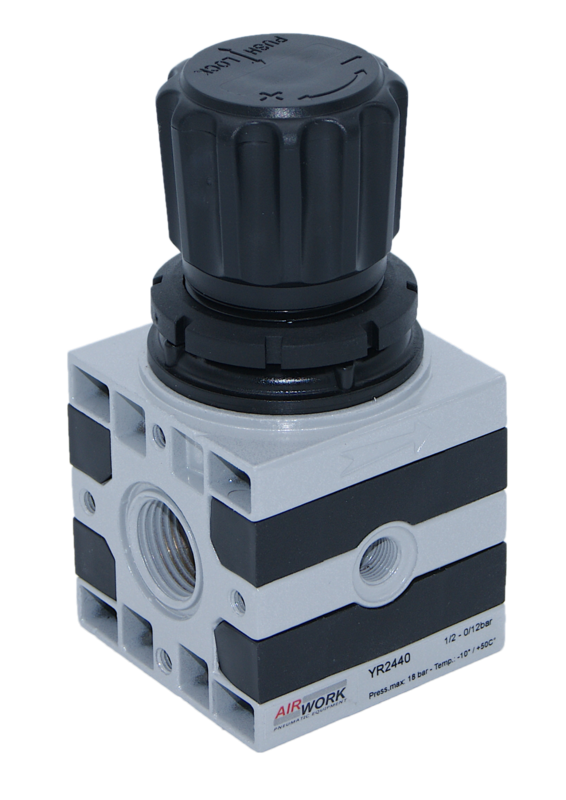 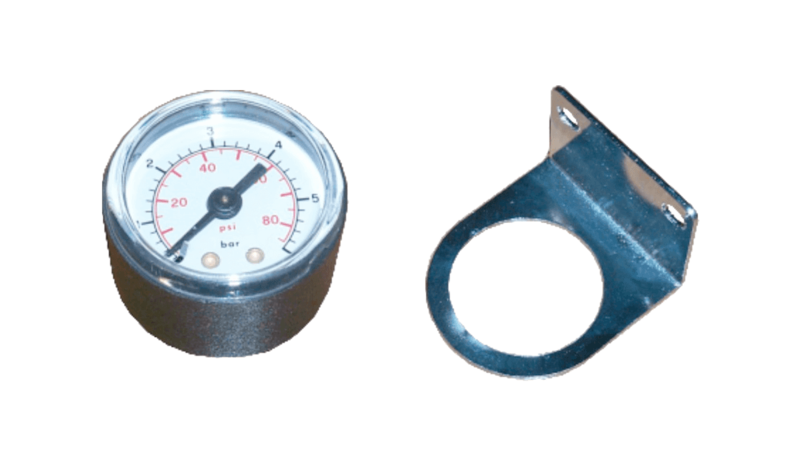 The series includes the dryer, the selector valve and the pilot controlled regulator.